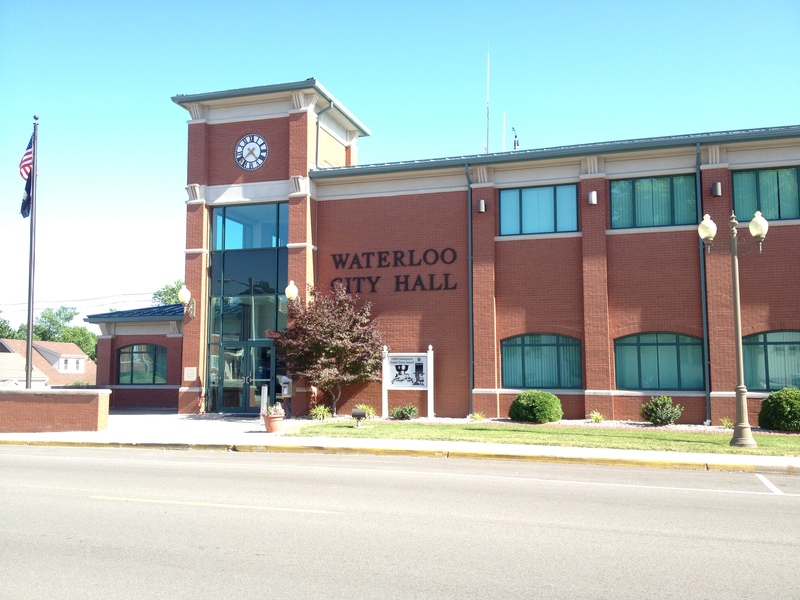 Waterloo operates under a non-partisan aldermanic form of government comprised of a Mayor, City Clerk, and Treasurer, all elected at large to four (4) year terms. Waterloo is divided into four wards with two aldermen representing each ward. All terms of office are four (4) years, staggered terms – four aldermen elected every two years. The Mayor and City Council members adopt all ordinances and resolutions, approve contracts required by the City, analyze proposals to meet community needs, initiate action for new programs and determine the ability of the City to provide financing for City operations. Additionally, the City Council performs other miscellaneous duties, including appointments to various boards and commissions, liaison with other governmental bodies, and responds to community groups and individual constituents. Regular City Council meetings are held on the first and third Mondays of each month at 7:30 pm. Meetings are held in the Council Chambers of City Hall. Usually, several special meetings are called throughout the year as workload dictates. All meetings are announced in advance and are open to the public.